to send back irregular migrants to Turkey. The question arising is why the Directive on Temporary Protection – favouring a group approach – has not been activated. According to this Directive ‘temporary protection’ means a procedure of exceptional character to provide, in the event of a mass influx or imminent mass influx of displaced persons from third countries who are unable to return to their country of origin, immediate and temporary protection to such persons, in particular if there is also a risk that the asylum system will be unable to process this influx without adverse effects for its efficient operation, in the interests of the persons concerned and other persons requesting protection’ (Article 2(a)). The Directive also indicates that its purpose is to promote a balanced effort between EU member states in receiving and bearing the consequences of receiving such persons. This Directive basically describes what is happening in the EU with irregular immigrants, especially from those who are fleeing war in Syria. To be clear, until now, no EU institution, human rights organ and/or state has denied that irregular immigrants from Syria are fleeing their country because there is a war there. In fact citizens of this country are some of the beneficiaries of the emergency relocation mechanism (mentioned above) because they have an EU-wide average recognition rate superior of 75% (in fact they have 98% recognition rate), and they have been the persons with the highest number of applications for asylum in 2015. The temporary protection mechanism can only enter into force through a qualified majority decision of the Council of the European Union, on a proposal submitted by the European Commission, in which it must, inter alia, be said which groups it will apply to, as well as an estimate of the number of people. Following the decision, all displaced persons to which the Directive applies have a right to temporary protection. Timewise, the Directive would apply for one year, following which it can be extended for a six months period twice. Thereafter, a further prolongation of a last year is possible following a new decision of the Council on the proposal of the European Commission. Persons protected can enjoy education and are allowed to work, while inter alia shelter, medical and other forms of assistance have to be provided. The question regarding why this Directive has not been applied was asked in 2014 to the European Commission. The answer given in 2015 by the EU Commissioner responsible was that ‘according to Eurostat statistics, almost 100,000 Syrians have applied for asylum in the EU between January and October 2014 and that in view of the scale of the influx and the manner in which these persons’ asylum applications have been handled, the Commission considered that a proposal to trigger the EU-wide temporary protection regime provided by the Temporary Protection Directive would not be justified in the present circumstances. In short, according to the Commission, with 100.000 asylum requests in the first months of 2014, one could not speak of a massive influx of people, and the existing national asylum systems would be perfectly able to handle the requests. Looking with hindsight, the Commission has not been clairvoyant in that regard. At the time it was also added that, in line with the Commission’s communication on “an open and secure Europe: making it happen”, in 2015 the Commission would evaluate the existing framework on temporary protection in order to enhance the preparedness of the Union to handle mass influxes and that if necessary, the Commission would propose a revision of the Directive to make it a more practical and flexible instrument. A study was commissioned in 2014 to assist in the foreseen evaluation of the directive. But why has the Commission not taken this Directive seriously up till now? 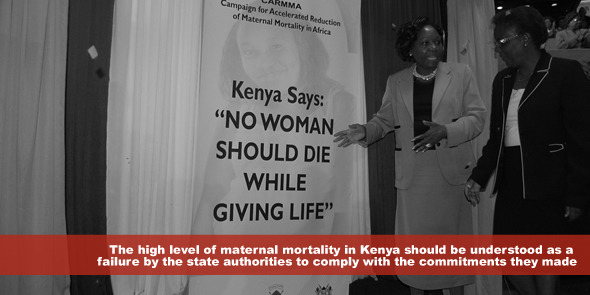 Or better, how many more people have meanwhile died because the Directive was not activated by the Commission? It would be good to remember that during the 1990s, conflicts in the former Yugoslavia, Kosovo and elsewhere demonstrated the need for special procedures to deal with mass influxes of displaced persons. That is exactly why the 2001 Directive on Temporary Protection was adopted. It was the EU’s concrete response to this need. On the one hand today’s lack of willingness to activate the Temporary Protection Directive is all the more strange, since a ‘group approach in determining refugee status’ has always been firmly rooted in international and European state practice and the practice of the UNHCR. On the other hand, the difficulties with which EU states have in a recent past been able to agree on dividing a mere 160.000 asylum seekers among the countries in the ambit of the implementation of the emergency relocation mechanism, has eliminated any aspiration left for proponents of the Temporary Protection Directive’s activation. While in theory the provisions within this Directive are based on solidarity between EU States, the Directive has not been applied and it seems that it will never be applied because solidarity is easily forgotten, especially when the most fundamental rights of the most vulnerable people in society are at risk. By March 2016, 629 persons had been relocated, 328 from Italy and 301 from Greece. Relocation is defined as the redistribution among Member States of persons who are already present in the EU and in clear need of international protection. According to Eurostat data for the third quarter of 2015, nationals of 8 countries would be eligible for relocation, i.e., the Central African Republic, Eritrea, Iraq, Yemen, Syria, Bahrain, Swaziland and Trinidad and Tobago. Hotspot is defined as section of the EU’s external border or a region under extraordinary migratory pressure, which calls for increased and concerted support by EU agencies. In the periode between September and December 2015, 683 persons were returned on Frontex-coordinated return flights. 2001/55/EC of 20 July 2001. Clara Burbano Herrera is a Fulbright Fellow at the FXB Center for Health and Human Rights at Harvard University, a Visiting researcher at the Max Planck Institute for Comparative Public Law and International Law (Heidelberg), and an FWO Postdoctoral Research Fellow at the Human Rights Centre of Ghent University. Ms Burbano Herrera received her Bachelor and Master Degree in Law from the University of Los Andes (Bogota), her LLM from the University of Carlos III (Madrid), her Postgraduate Degree in Constitutional Law from the National University of Colombia (Bogota) and her PhD from Ghent University (Ghent).